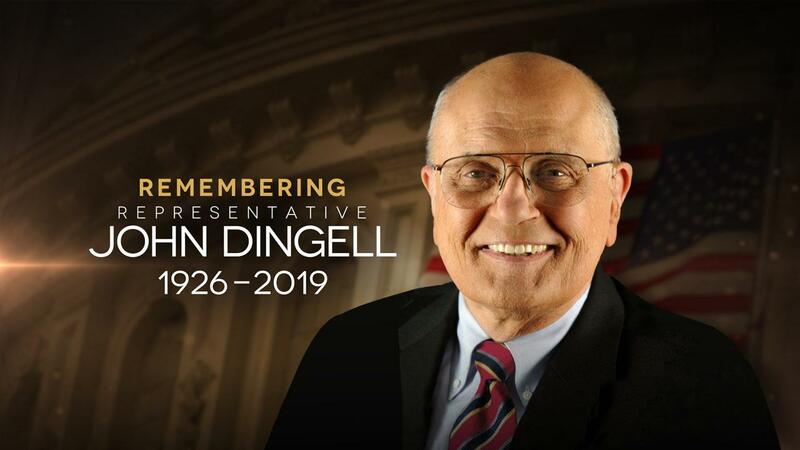 WASHINGTON, Feb. 7 (Xinhua) -- John Dingell, former Michigan Congressman and the longest-serving member of the U.S. Congress, died Thursday at the age of 92. "Congressman Dingell died peacefully today at his home in Dearborn," the office of his wife, Congresswoman Debbie Dingell, said in a statement. He was diagnosed with prostate cancer last year, according to NBC News. Born in Colorado Springs, state of Colorado, Dingell served in the U.S. Army in 1944-1946 before earning his B.S. and J.D. degrees from Georgetown University in 1949 and 1952, respectively. He was first elected to the House in a 1955 special election following the death of his father, John D. Dingell, Sr. The younger Dingell, taking over his father's seat, served until his retirement in 2014 after 59 years in the House. He played an important role in passing the Affordable Care Act in 2010, popularly known as Obamacare. His wife ran for his seat and is now serving her third term. After his congressional career, Dingell was also known as a prolific tweeter. "Wife is working late tonight. Might eat ice cream for dinner," he wrote in a tweet in early 2015. "The Lovely Deborah is insisting I rest and stay off here, but after long negotiations we've worked out a deal where she'll keep up with Twitter for me as I dictate the messages," Dingell tweeted Wednesday. "I want to thank you all for your incredibly kind words and prayers. You're not done with me just yet," he added.